The "zobo" plant, originally uploaded by nobodaddy69. 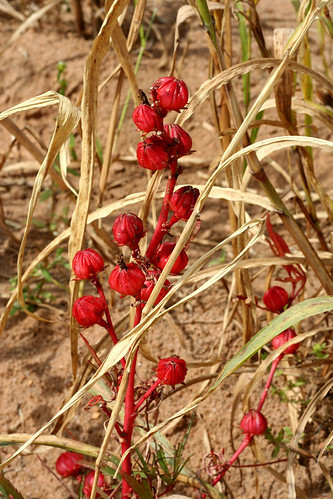 I used to really enjoy the drink made from this plant. Canned Zobo drink..entrepreneurial idea!...Any takers? ah, so zobo is not the same as karkadiya (hibiscus) after all. They taste similar. I also thought the drink was made from the hibiscus plant! I believe the plant is called Sorrel.